Penn Adv. 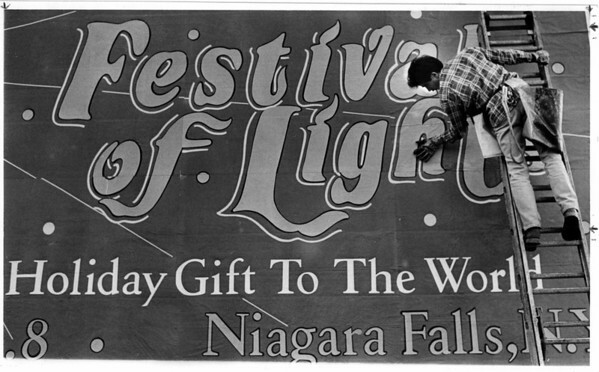 Worker Joe Piazza of Buffalo - posts a sign about the Festival of Lights on a bill boardat 3rd Street and Duggan Drive. Photo - By Melissa Mahan - 11/26/1988.